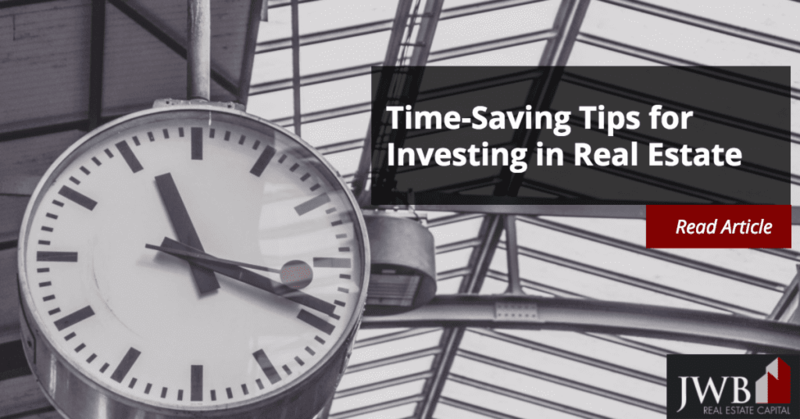 Real estate is a time-honored way to build wealth, but until recently, it’s been fairly time-intensive and locally driven for individual investors. The rise of professional property management companies who work with small, independent investors has changed the face of real estate investing through homeownership. You own your home where you currently live and need or want to move away. Instead of selling it, you can use it as an income-producing rental and turn the day-to-day management of it to a professional property manager. You want to invest in housing markets where prices are more attractive. You may live in a place where housing affordability keeps you out of the market, but could buy a home in a more affordable location miles away that you can use to generate cash flow and increase the value of your portfolio. Keeping really detailed, organized financial records will save you all kinds of time when tax time rolls around. 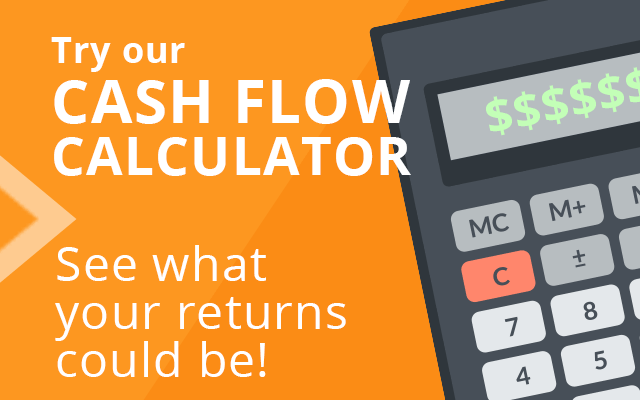 Make sure you are keeping track of your income as well as every expense related to your investment, including things like property management fees, home repairs, legal fees, mortgage interest, etc. When tax time comes around, you can also save yourself time (and lots of hassle) by turning all of those records over to an accountant you trust. The best properties for passive residential real estate investment are turnkey properties, a term that describes those that are ready to rent immediately upon acquisition. All repairs and improvements have been completed, and the property is ready to place on the rental market. Sometimes investment property owners list their renter-occupied homes for sale, which provides a good opportunity for a new owner to acquire residential properties with little immediate risk involved, something that’s important to lenders and new owners, alike. Full rental services, including listing the property, applicant screening and qualifying, cleaning and maintenance, property showings, lease signing, key distribution, and documented walk-through inspections at the time of lease signing. Maintenance and repair services that tenants require. Turnkey property management companies offer these services as menu-items and you can choose which you need depending on the degree to which you want to be involved. You may not want to be notified for minor repairs, but require approval for big ticket items, like appliance replacements. Some property management companies even offer acquisition services, which expedites the purchasing process by providing you with a portfolio of properties that meet your criteria. Turnkey properties and property management firms simplify wealth building through real estate investment. Their services make it possible to diversify and broaden a portfolio with real property that you hold for future sale or personal use while generating a positive cash flow. 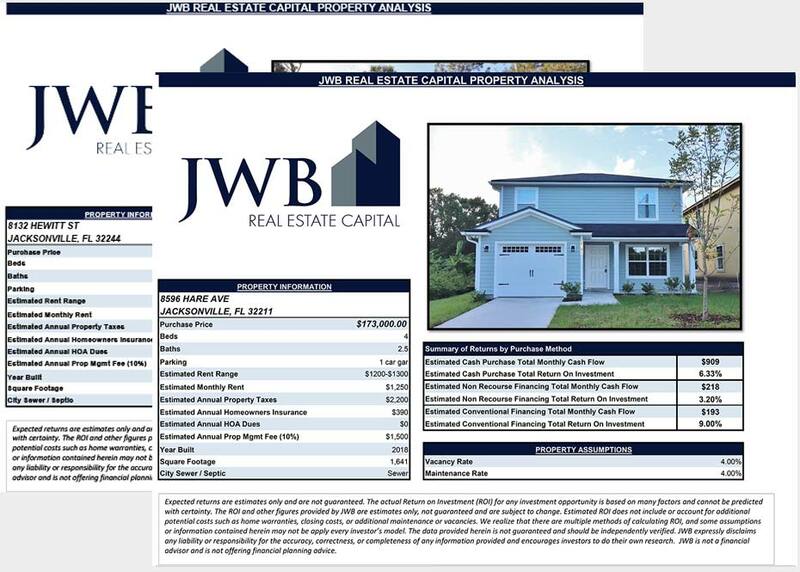 Let JWB Real Estate Capital help you with our turn key investing process. We have an experienced team to take care of the hassles associated with investing in real estate, while you enjoy the benefits. Learn more about our turnkey investment properties and how we can help you strengthen your portfolio.